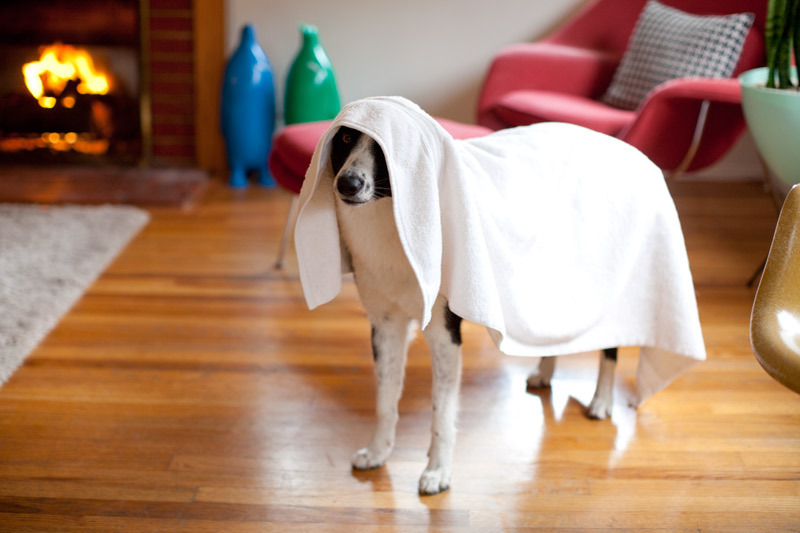 This is the “towel treatment” that Ruca Bean Yates-Mora gets when she comes inside on rainy days. As evidenced here, she loves it. Yay for sunshine! !